"One of the mortar schooners which bombarded the forts guarding the approach to New Orleans and which were then brought upriver to hurl their great 13-inch shells into the confederate positions at Port Hudson." Source. I do hope some members fill us in on the name, and when it was commissioned. It was in 1862 when New Orleans was passed. And Port Hudson? This vessel is rigged as a barquentine, and appears larger than most of Porter's mortar schooners. This may be USS Horace Beals, That served as a supply vessel and in a general logistical support role to the mortar schooners flotilla. Silverstone gives Horace Beals' armament until January 1863 as a pair of 32-pounder smoothbores, and a single 30-lb. Parrott rifle, presumably on a pivot. Is that what we're seeing here? Thank you, @AndyHall. The Lt. Comdr. that was assigned to her, K. R. Breese, was that the brother to Samuel Breese who was a Commodore commanding the New York Navy Yard in May of 1861, and where the USS Horace Beals was commissioned on Feb. 5 1862? Edit: I found Sydney Breese, the father of 14 children, one of which is Samuel, but no son beginning with the letter K.
Keep in mind that vessel ID is a guess on my part. Seems likely the Breeses were related. When this vessel was commissioned in Feb. there was at the time a good amount of searching along South America and Bahamas for the Sumter. It was also after the Trent affair, so I was looking for any advance notice of her readiness at the docks when she would be given her armament. Thinking along the lines of parceling the ships to the different fleets, I may find an answer if I can bail water faster than my hopes sink. "...at those places the schooners purchased by the Government, whether any are suitable for bomb vessels....what vessels of that class are already fitting for service. If, in your judgement, none of these is capable of being readily arranged for mortars, you are authorized to purchase six suitable vessels....Consult with the Ordnance Bureau before you leave Washington relative to the mortars...."
And Wikipedia escapes my memory. [Official Records, Navy, Series 1, Volume 18, page 3]. Keep bailing? These include twenty vessels, each carrying one XIII-inch mortar, and one store vessel being selected. On December 23, the Department divided the present Gulf Blockading Squadron, commanded by Flag-Officer McKean and assigned one division to Captain Farragut. Classified as the West Gulf Blockading Squadron, Farragut is given the USS Hartford, a steam sloop of war, as his flagship. On Jan. 18, Lieutenant Breese commanding the US schooner John Griffith is requested to Key West to await the arrival of Commander D. D. Porter, and report for duty as a part of the bomb flotilla. Jan. 20, the Secretary writes in full the mission of the fleet once the mortars arrive at Key West. Jan. 29-Farragut arrives in Hampton Roads on the flagship Hartford. Jan. 30-ordered to the Gulf, to touch at Port Royal en route. Feb. 7- Lt. Breese commanding U. S. barkentine Horace Beals leaves the Navy Yard in New York pursuant to orders. Pass a l’Outre March 18. If this is the vessel being used as a store ship, not only fuses etc. were on board, but 5 miles of telegraphic wires for submerged purposes with necessary insulators, batteries, and an operator to manage the set-up had been ordered February 11 for Flag Officer Farragut. These ordnance stores were sent down to Hampton Roads starting Jan. 31, from Annapolis. From there they were dispatched to Ship Island, possibly via Key West. What puzzled me a bit, is that the mortar boats basically disappeared out of all navies after the Civil War. Was their performance so disappointing? Their performance speaks for itself at the times of battle. They were a success, but whatever purpose the Navy had for selling this one particular boat, USS Horace Beals, which it did in New York after the war, I don't know. Possibly due to future ironclad status? In the short term, the disposal of mortar boats at the end of the war may just be because they could be improvised quickly if needed again. It is curious that nothing like mortar boats or bomb vessels seem to have been used in later wars. The continuing development of guns allowed heavy shells to be delivered more accurately at long ranges. Even specialized shore bombardment craft like the monitors of WWI used standard high-velocity guns. This could be a problem when engaging targets in defilade, behind hills or other terrain. When I was in the Navy we had the option of using reduced charges in guns, which would reduce the muzzle velocity and make the weapon perform more like a howitzer, firing at a higher elevation so the shells would come down at a steeper angle. In the short term, the disposal of mortar boats at the end of the war may just be because they could be improvised quickly if needed again. It is curious that nothing like mortar boats or bomb vessels seem to have been used in later wars. 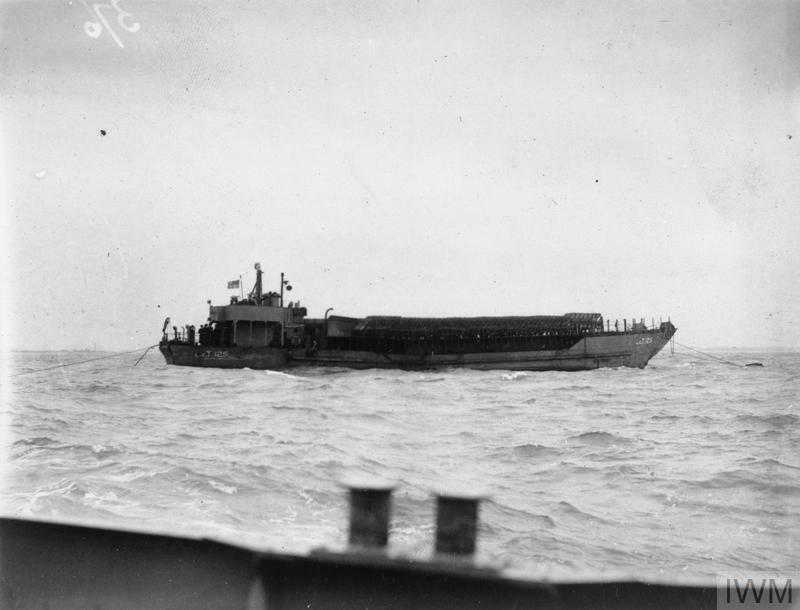 As a distant descendant - about the closest modern-day, (sort of), non-precision, indirect-fire, extemporaneous, weapon system that might come close would be LCT(R)s (Landing Craft Tank (Rocket)) and other vessels like them.